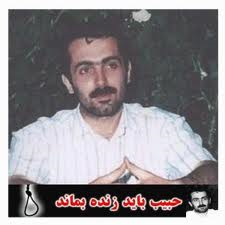 Mohammad Reza Pourshajari; Iranian Blogger and Political Prisoner in Urgent need of Medical Care! While in prison Mr. Pourshajari has suffered from two heart attacks which have left him in very poor health. While prison doctors have asked for him to be given medical leave and be transferred to a hospital for long term treatment the Islamic Regime has refused to grant this request. Mr. Pourshajari suffers from very serious health problems and it is pertinent for him to obtain long term medical treatment as soon as possible. I am dedicating this post to Mohammad Reza Pourshajari and I urge all pro-democracy activists and human rights organizations to circulate this post and any other information in connection with Mr. Pourshajari making sure that he is not forgotten! 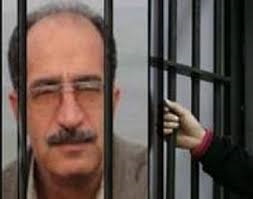 As always a reminder that the only way to help all political prisoners in Iran is to work towards the overthrow of the Islamic Regime in Iran and the promotion of a secular and democratic government by the people and for the people of Iran! We are approaching my favourite time of the year, the Christmas season with all the lights, decorations and enjoying this time with family, friends and loved ones. While I am determined to enjoy this season I am keeping in my thoughts all political prisoners in Iran and their families, and especially those who are facing execution! In that spirit I will dedicate this post to Habibollah Latifi a Kurdish student, activist and political prisoner who has been sentenced to death by the Islamic Regime in Iran! Prisoners sentenced to death may have their sentence carried out at any moment, and it is crucial for us to keep writing about them and making sure their names and faces stay current, making it more difficult for the Islamic Regime to carry out these executions!